TRIO Sports offers a variety of customized clothing needs such as screen printing and embroidery on t shirts, hoodies, hats and more. Simply put, we strive to help our clients look their best so they can perform their best. Located in Edwards, COLORADO – in a highly active community – TRIO Sports is always excited to be a part of the customization process. We are here to guide teams, businesses and brands by creating customized apparel that enables our clients to perform like the pros they are, no matter what industry they're in! We hit deadlines. We meet budgets. We stay flexible and work with our clients to create the perfect, one-of-a-kind designs and prints! Hats, Beanies, Hoodies, Jackets, Pullovers, Soft-shells, Shorts, Sweatshirts, Sweatpants, Technical shirts, T-Shirts, Backpacks, Neck Gaiters, Beer Koozies, Towels, Cushion Covers, Tote Bags, and more – we take into consideration price, comfort and quality. We start by giving you a preview of the apparel in our showroom and the price points we offer. After choosing your styles, our designers will create a visual storyboard to paint a picture of your merchandise for your approval before you make an order. 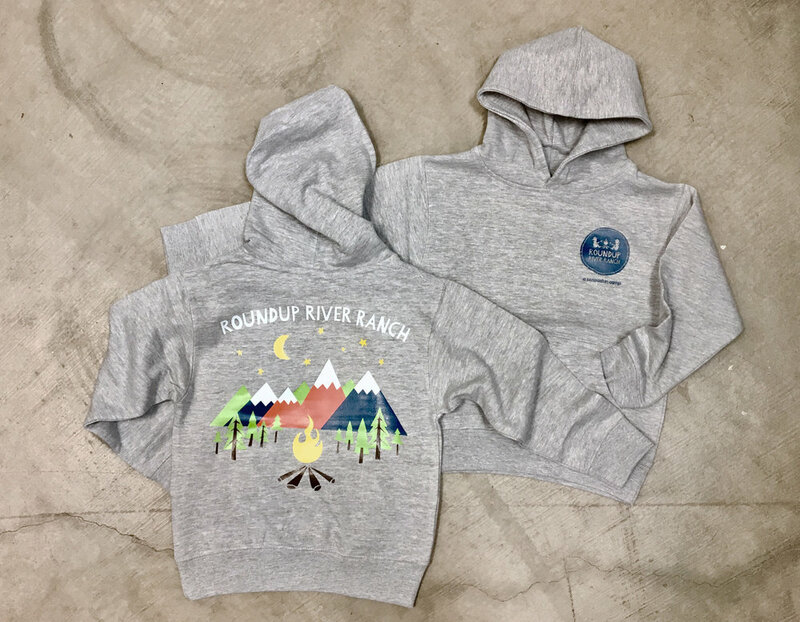 And because our whole process is streamlined by our in-house design and production, we take the time to listen to your needs and turn your visions into quality printed and embroidered apparel. TRIO Sports loves local. Whether you're a brewery in need of printed t-shirts, a fly-fishing company in need of embroidered hats, a soccer team that needs new uniforms, a skiing/snowboarding crew that wants some custom neck gaiters, a business that needs promotional gear, a competitive rafting team that needs custom buoyancy covers, the list goes on and on – name your need and we will have a great solution for your team, business, organization or crew! Check out the services that we offer below and when you're ready to get the process started, send us a message or give us a call! Sublimation is the mecca of printing! It is the absolute definition of quality, offering unlimited, customized design opportunities. What makes it so awesome is that because the ink is embedded into the fibers of the garment, it does not impact the shirts breathability or ability to wick moisture. It looks sleek and will make your team or business stand out in any crowd. Sublimation can give you a truly unique product with amazing designs that will showcase your team or logo identity. We have a large range of products that can be sublimated – water sports apparel including rash guards and buoyancy cover, long sleeve and short sleeve technical performance shirts, polo shirts, neck gaiters, mountain biking and cycling gear, soccer uniforms, cheerleading apparel, beach towels, and more! Our sublimation printing is also a sustainable process! Our polyester fabrics are all made using plastics found in our oceans. We believe it's important to try to play our part in an attempt to protect and help our environment by removing plastics from our oceans and recycling it into awesome, custom apparel. Embroidery is the process of using needle and thread to create great all-around customized gear. It works on just about any garment, but is most commonly used for hats, jackets and bags. It is extremely durable and has a clean, classic appearance. Vinyl Heat Transfer application is the answer to any customized printed apparel project. Give us your logo or choose from one of our thousands of templates that will work for your project and save money by using vinyl application. This process, done by using heat and pressure, is one of the least expensive, most common and highest quality options for printing apparel with an extremely quick turnaround. With Digital Garment Printing, any design our customers want can be quickly and professionally printed directly onto apparel and accessories from our many suppliers. Like an inkjet printer, this technique allows you to print any color and design imaginable, making it a perfect choice for full-color print jobs on cotton garments. TRIO Sports doesn't just print clothing and accessories. We have a full team of graphic and fashion designers to get any job done! When it comes to sublimation printing, our designers can create anything from the most simple and sleek design to the most complex and colorful design imaginable – the sky is the limit! Maybe you don't have a logo or need some work done on your current one. Our designers are happy to help with that, too! We understand what it is to be a brand or team and the importance of following any guidelines you might have. With that said, we always send our clients mockups of the designs before getting started on any project. We want you to be a part of the design process so you get exactly what you want! Bring us any design ideas you can think of and our talented designers will turn your vision into custom apparel reality! Don't hesitate to inquire about our design capabilities if you have any questions. Let us know any questions or comments you might have! Thank you so much for reaching out to us! We will get back to you ASAP!